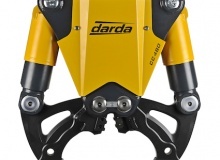 Parallel to the launch of new robots by Brokk, its German subsidiary, Darda GmbH, is presenting three new crusher models at bauma 2019. 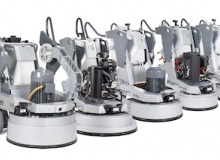 They are designed as a low noise, yet powerful attachment tool for the new demolition robot series and for mini excavators in the 2.5t to 9t class. 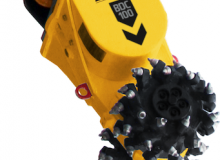 Brokk will introduce several new lines of attachments at bauma 2019. 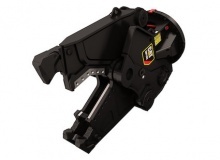 The new lines include a whole new range of Brokk drum cutters and an upgraded range of demolition grapples. 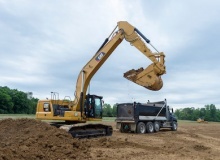 The 330 and 330 GC ‘Next Generation’ 30t excavators from Caterpillar have been developed to increase operating efficiency, lower fuel and maintenance costs, and improve operator comfort compared to previous models. 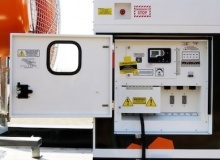 The new Makinex power box is a silent, emission free power supply available in several sizes and power configurations. 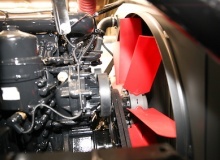 This has been developed so as to alleviate fuel worries, and to mitigate loud portable generator noise and emissions. 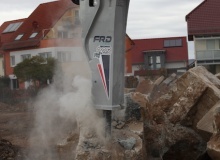 The new Razer X multi-Jaw demolition tool (GRX) from Genesis Attachments enables excavator operators to change jaw sets in less than 2min without leaving the cab. 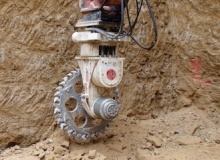 The attachment body contains hydraulically actuated pins controlled from the cab that connect to the cylinder and jaw set. 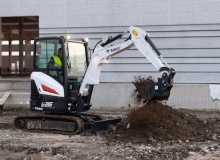 KC Plant Limited, a new plant hire company based in Watford in Hertfordshire, has purchased the first Bobcat R-Series E26 2.5t and E27z 2.7t mini excavators in the UK. 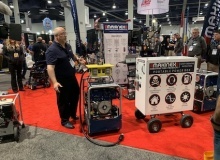 At World of Concrete in Las Vegas in January 2019, Superabrasive, the manufacturer of the Lavina line for concrete grinding and polishing, launched an all-new generation of grinders called Lavina Elite. 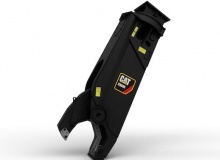 Caterpillar Work Tools has expanded its range of excavator attachments with three new scrap shear models - S3015, S3025, and S3035 - which build on the company’s demolition and scrap processing technology experience. 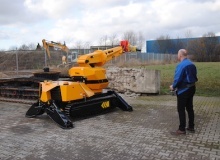 At bauma 2019 German manufacturer TML will be showing its new Unidachs 110 demolishing machine, which has been developed especially as a manipulator for a diverse range of attachments. 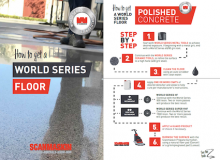 The World Series system is a premium selection of products that have been created for customers’ demands all around the world, focusing on quality, service and reliability. 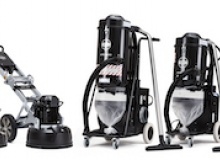 A complete range of three floor grinders, three dust extractors and a pre-separator with a focus on ergonomic design and user-friendliness, have been launched for smaller grinding jobs by specialist manufacturer HTC. 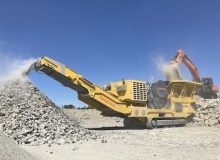 Keestrack will display a total of nine processing plants at bauma 2019, thereby displaying its entire product range for mineral recycling and quarrying (Stand: FN1017/1). 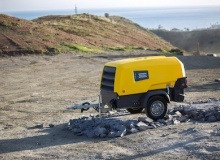 The three new Cat MP332, MP345, and MP365 multi-processor models are heavy duty, high production tools that accept multiple interchangeable jaws for taking on a variety of specialised demolition tasks. 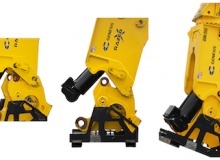 Erkat has for the past 20 years developed a range of robust, high quality special cutter attachments. 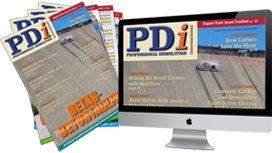 Now integrated into Epiroc, the company is looking to develop new areas of application and flexible usability for its broad range of products, as well as seeking to develop a sustainable solution to the problem of fine dust pollution on construction sites. 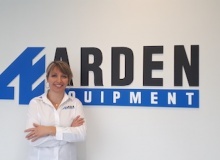 Arden equipment, based in the north east of France in the Arden region, recently opened a US subsidiary. 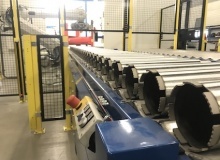 The company, which supplies a wide range of attachments, has developed and launched a number of recent innovations for security and environment - such as Arden Jet technology - into the American market.